11. Make all of your dining reservations 180 days in advance. Once you’ve taken care of dinner with Cinderella—if that’s on your Disney World bucket list—then you should proceed to making your other dining reservations. 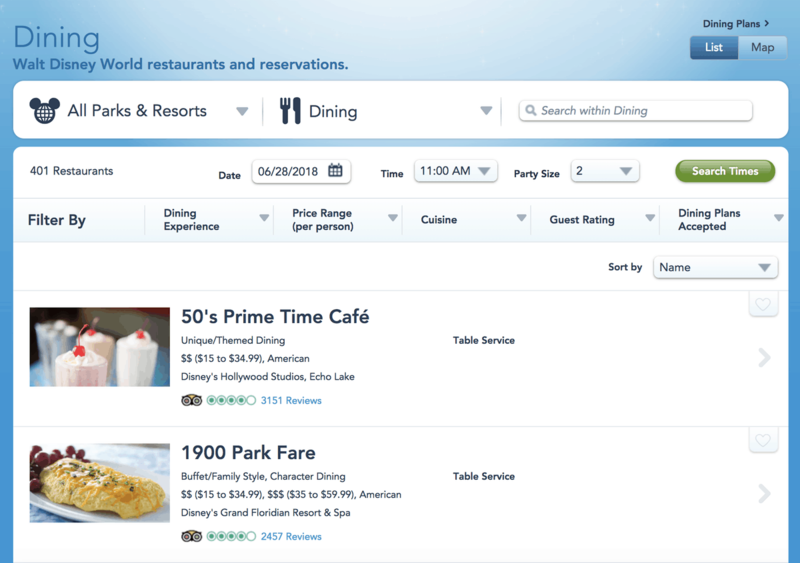 Other restaurants like Be Our Guest at Magic Kingdom also book quickly, so you’ll want to try to make all of your reservations as soon as the window opens to do so—180 days in advance. This is especially true if you’re visiting during holiday time, during the summer or during any other peak season in the parks.